The Florida Gators (12-9, 4-4) missed out on a golden opportunity to earn a resume-boosting win, but couldn’t close out the No. 7 Kentucky Wildcats (18-3, 7-1) losing 65-54. The score should be no indication of how close the game was, as the Gators controlled the game for the majority of the time before allowing the Wildcats to storm back and escape Gainesville with a win. WHAT WENT WRONG: The Gators were arguably playing their best basketball of the season, until the final 12 minutes of this game and it all unraveled. The team looked inspired and was not backing down to the highly ranked Wildcats. It was looking up for the Gators, until they ran into a cold spell offensively that cost them the game. With the Wildcats storming back, the Gators had a stretch where they shot 2-of-13, and included a four-minute scoring draught. Plain and simple, you can’t go that cold and allow the Wildcats take control of the game, because they will. WHO STOLE THE SHOW: Guard Tyer Herro - who is the Wildcats sharpshooter - was in a zone Saturday. Herro poured in 19 points and shot 3-of-4 from beyond the arc, which included likely the final dagger of the game, putting the game officially out of reach. PJ Washington entered Saturday on a tear, scoring 20-plus points in Kentucky’s last three games. He didn’t reach the 20-point mark, but Washington had a double-double, scoring 15 points while grabbing 12 rebounds. NUMBERS DON’T LIE: Controlling the boards has been an issue for the Gators all season, and once again they were out done on the glass. Going into half time, the Gators had the rebound advantage by one. When they final buzzer sounded, Kentucky won the rebound battle by 12. The Wildcats pulled down 14 offensive rebounds on the way to dominating the glass. 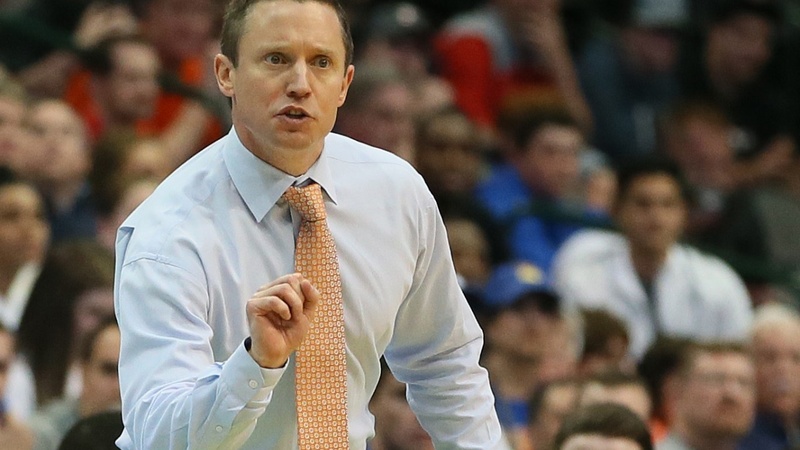 BOTTOM LINE: Entering Saturday, the Gators were in desperate need of a resume boosting win. Anytime you play a Top-10 team, let alone one of college basketball’s blue-bloods, you’re going to be given the chance to make a statement. The Gators looked as if they were going to make the most of the opportunity, but let a resume building win slip out of their hands, on their home court too. The Gators might not get another opportunity to earn a statement victory again this season like they did Saturday. One could argue the Gators played their best 28 minutes basketball, before it all came crashing down. It’s not very often you have the chance to take down the seventh ranked team in the country. The Gators had a statement win in the balance, up by 12 in the second half at one point. But the end result was a loss, one that could sting for a while. UP NEXT: As the Gators now find themselves through the first two games of a pivotal stretch of four, they will be on the road to close it out. On Tuesday, the Gators will face the Auburn Tigers away from the O-Dome. The Tigers are currently 14-6 and are led by the backcourt duo of Jared Harper and Bryce Brown.